​Netflix is getting the comics behind legendary Canadian sketch series SCTV back together for a reunion special directed by Martin Scorsese. Martin Scorsese and SCTV aren't obvious bedfellows, but the grizzled New Yorker was so fascinated with the Canadian sketch comedy show that he wanted to make a documentary about its history, says one of its creators. "He's been an incredible fan since the early days," said producer Andrew Alexander, who's in the early stages of creating an unnamed film with Scorsese and Netflix that dives into the legendary TV show. "He thinks there's a cultural component to all of this — the influence this show's had on so many comedic artists of today.... This is something that came out of Canada that had a huge influence on North American comedy." SCTV, or Second City Television, ran from 1976 to 1984 and helped launch the careers of many famed international comic legends, including the late John Candy and Harold Ramis. 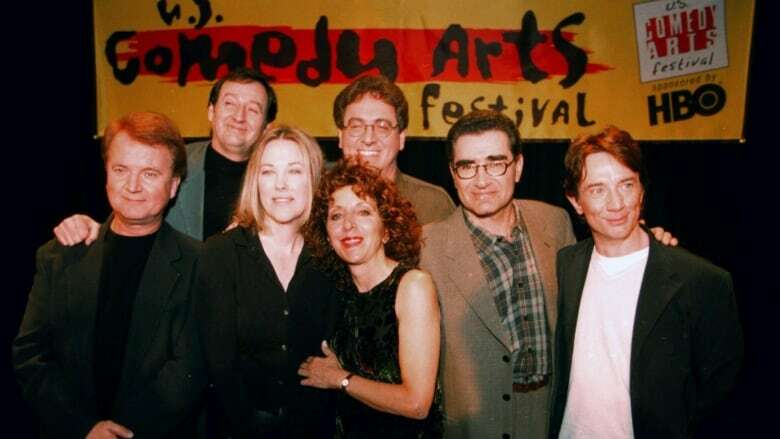 Netflix revealed Thursday that it's bringing together SCTV cast members Joe Flaherty, Eugene Levy, Andrea Martin, Catherine O'Hara, Martin Short and Dave Thomas for a conversation moderated by Jimmy Kimmel. Rick Moranis was also among the troupe, though he isn't expected to appear at the reunion, which will be recorded in front of a live audience at Toronto's Elgin Theatre on May 13 at 3 p.m. The Goodfellas director plans to take the footage he captures, pull out the best stuff and incorporate it into a documentary that will debut on the streaming service at a later date. Exactly how the final product will look isn't certain yet. "Martin Scorsese has a very specific kind of process with how he works — he starts to find the film as he goes along," Alexander said. "It's shooting in segments, and you sort of discover exactly what the film is going to be.... It's pulling together a lot of elements as he works." While Scorsese is best known for films like Taxi Driver and Casino, he's also directed a number of acclaimed documentaries, including The Last Waltz, the final concert of rock group The Band, and Bob Dylan's No Direction Home. "We had a meeting in New York over the weekend and he talked a lot about how The King of Comedy was influenced by SCTV," Alexander said, pointing to Scorsese's 1982 film starring Robert De Niro and Jerry Lewis. Plans have Scorsese regrouping with Alexander this summer to consider other elements of the documentary, which could include new sketches. "A lot will come out of what we're talking about at the live event," he said.